Home / Looking for Craft Beer in Haverstraw? 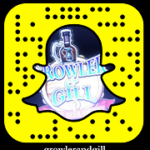 Growler & Gill, Rockland County’s premier craft beer emporium is a quick 20-minute car ride via Route 304 or the Palisades Interstate Parkway and well worth the trip! With 24 rotating taps of draft beer and 500 bottles of beer from around the globe there’s no place else this convenient to Haverstraw with as wide selection and an ambience this friendly and warm. Growler and Gill’s beer selection includes IPAs, Belgians, wheat beers, stouts, porters, gluten-free beers, ciders, premium wine, Prosecco and more. Looking for Something to Do in Haverstraw? If you’re hungry, Growler & Gill’s food menu features delicious Polish, German and American favorites and was created with beer pairing in mind. And with Growler & Gill staff on hand you’ll have the most knowledgeable men and women in the Hudson Valley willing to answer any questions you might have and guide you through a personal tasting to help you make your selection. Come down tonight and experience for yourself why Growler & Gill is the premier destination for craft beer lovers in Haverstraw and make sure to bring a friend – they’ll really appreciate it.